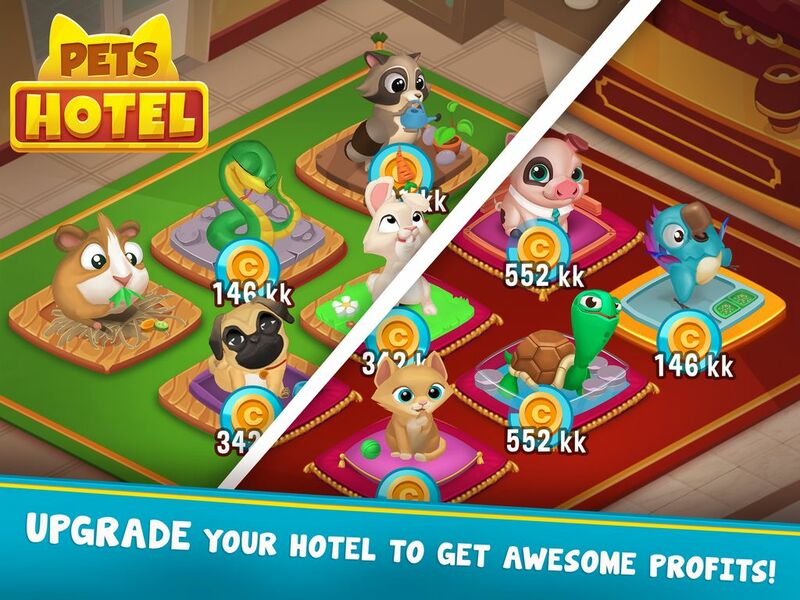 Pets Hotel - The world’s best idle pet hotel management game! 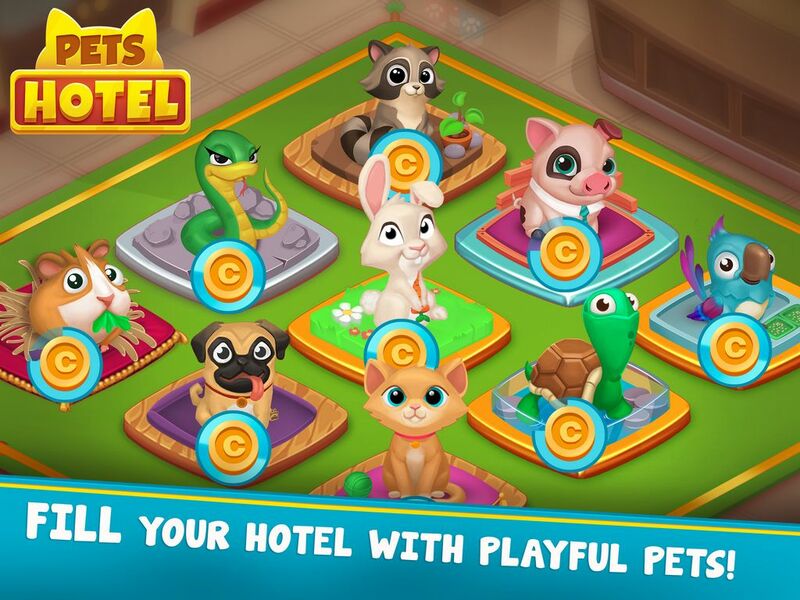 Create the best pets hotel! 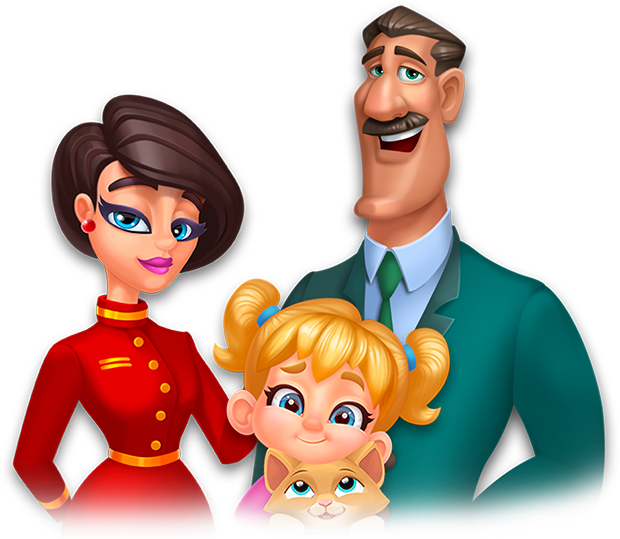 Pets Hotel is free to play worldwide online and offline! 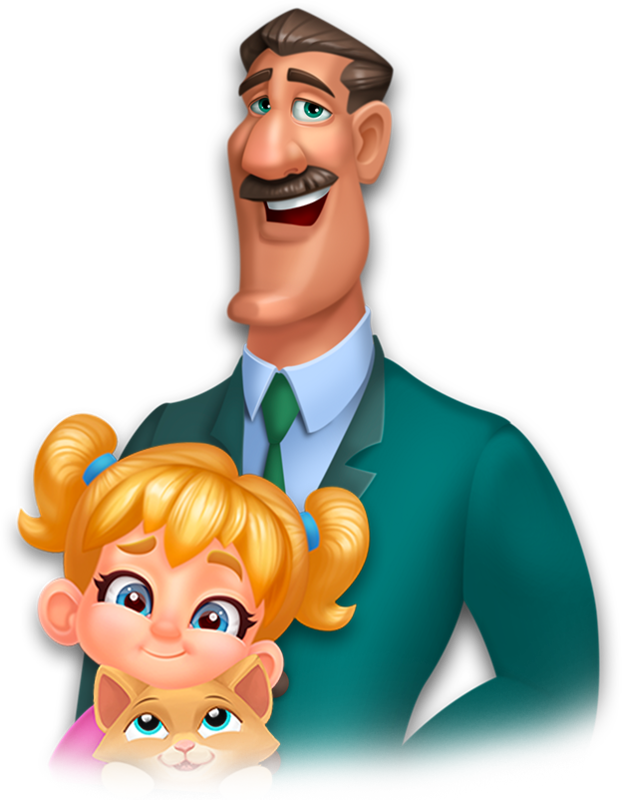 Create a prosperous pet hotel, discover a lot of animals! 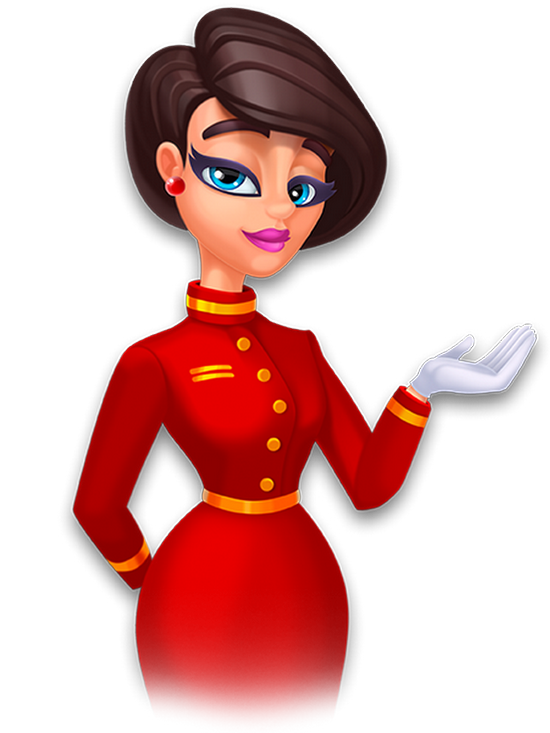 Idle hotel management, automate your hotel and get profits while you’re away! 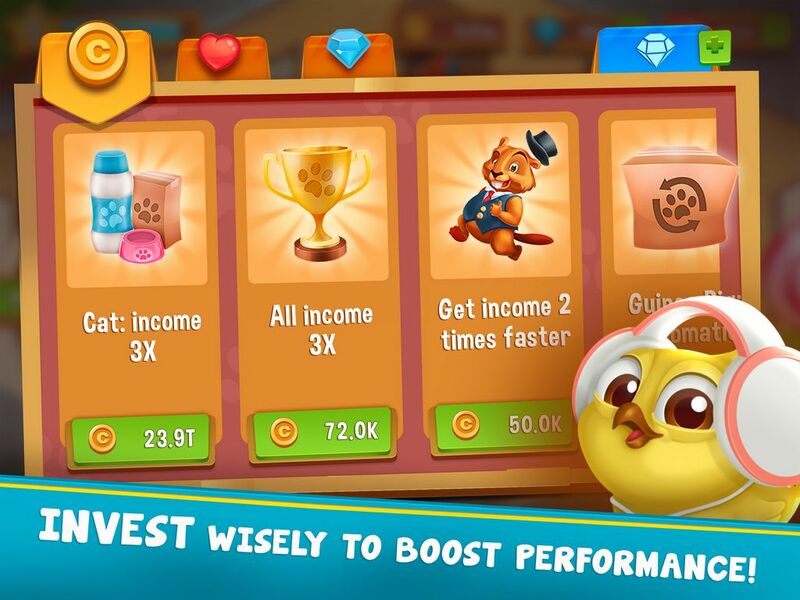 Increase earnings by amusing pets with music and candy rain! 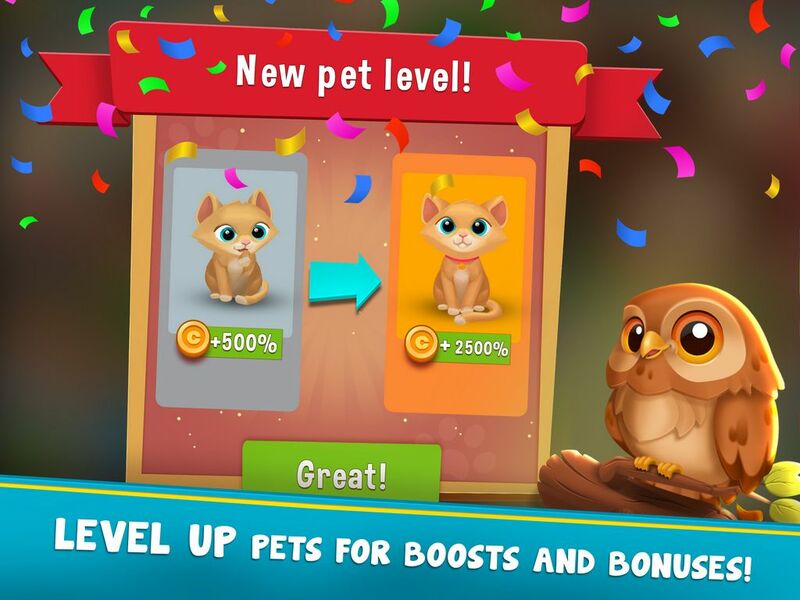 Discover new cute animals and recieve rewards! 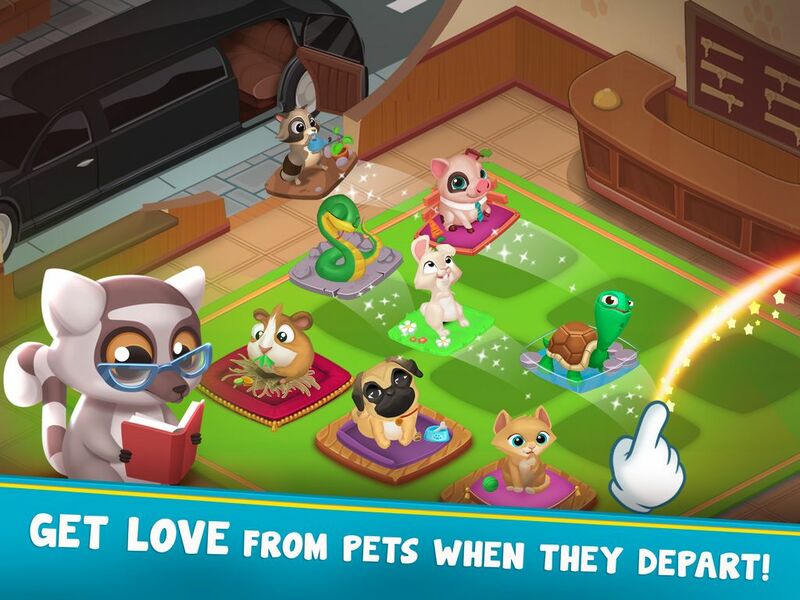 Receive love from your pets and keep developing your hotel! © 2017 Mobgams. All rights reserved.